Our Mobile Spa Parties are an ideal way to celebrate any event or show your appreciation to loved ones, friends, colleagues or family. We create a comfortable and professional atmosphere for an unforgettable spa experience in the comfort of your own home, or wherever you may be. Call to inquire about pricing and options. Click here to view a list of our services. Why spend an enormous amount of money to go to the day spa with friends where you will probably be separated for your treatments and have to maintain the quiet surrounding. You and your friends can treat yourselves to a day of pampering and relaxation at the spa right in your own home where you can mingle, laugh and sip herbal teas or champagne, wine or Spatinis as you get pampered. Spa Parties (groups of 3 or more) must be made 2 to 4 weeks in advance, with a minimum $160 in services. A non-refundable deposit is required for all groups or Spa Parties. Decorate the room with candles, incense, plush pillows, rose petals and magazines. Indulge in a facial, manicure, pedicure or massage while chatting and munching on your favourite foods. Stay comfortable in pyjamas or robes and slippers. Listen to soft spa music or watch classic chick flicks. Remember the occasion with plenty of photos of your relaxing and bonding day. Light snacks seal the deal. Great food choices are cheese and crackers, chocolate-covered strawberries, fruits, and veggies & dip. Changes or cancellation to group packages (3+) must be made within one week of event. Otherwise a 20% cancellation fee will apply. Spa staging including robes, slippers, candles, music and rose petals can be arranged for an additional cost. 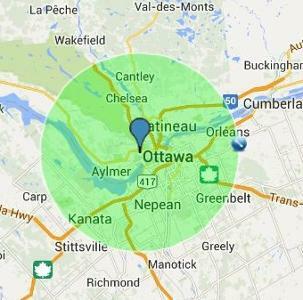 Advise us of any product or food allergies you have. For instance, to algae, iodine, shellfish, nuts, flowers, etc. 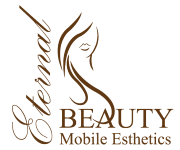 Eternal Beauty Mobile Esthetics is not responsible for any injuries or damage during or after the service has ended.